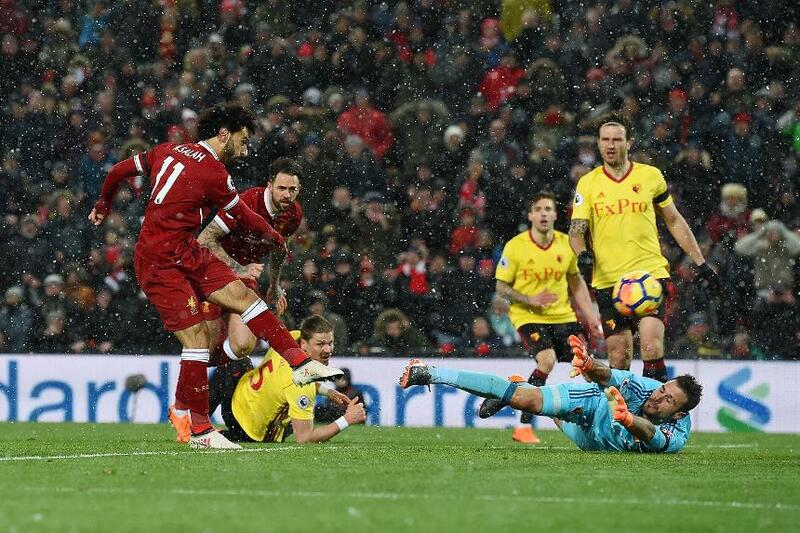 Mohamed Salah's four goals on Saturday edged the Egyptian closer to becoming the African player to score the most in a Premier League season. The Liverpool star's haul in the 5-0 home win over Watford took his tally for the campaign to 28 goals. Not only did those strikes propel him four ahead of Tottenham Hotspur striker Harry Kane in the race for the Premier League Golden Boot, they also took him to within one goal of the tally returned by Chelsea's Ivory Coast international Didier Drogba, who scored 29 in 2009/10. On Saturday Salah moved clear of Emmanuel Adebayor, the Togolese who struck 24 times for Arsenal in the 2007/08 campaign.